It has been SO LONG since I have grown CPs that I have a CFL bulb needing replaced and actually thought I could get some at Lowes/Home Depot still! XD Boy was I surprised to see the complete takeover of LEDs! Moving on to strip light LEDs is the perfect time right now as I am just coming back into CPs after a job change, move and big life change. Sorry to add another LED lighting question, but I have been doing all my thorough research and felt good about my decision until the units arrived in the post today. @Elgecko, where you at, my friend!? I saw your messages twice in my research of older threads and saw you liked them and they appeared to give me what @Naoki was trying to teach me to build here at: http://orchidborealis.blogspot.com/search/label/LED without having to build them. 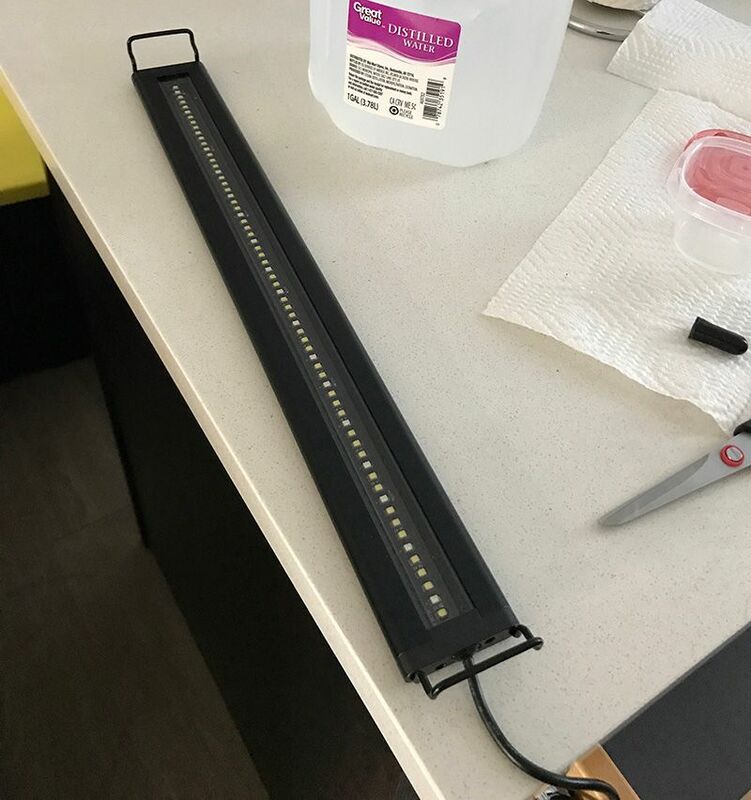 I felt that the extra money was worth the ease of an Amazon purchase and wait 2-days over getting together tools I don't have and take the time to build the DIY Samsung Linear LED. But now I am confused whether I have a good enough product in Current USA or if my best bet is building some DIY LED Strip lights or some T8 LED Fixtures. Especially confused because the info out there on LEDs gets outdated so fast and there might be something way smarter out there. Anyone have experience with these lights? Elgecko or Naoki, you guys around to see this by chance? Replacing my old CFL bulbs is QUITE a drop in visible light. But these are LEDs compared to CFLs so quite a difference in Lumens. Are two 18-24 inch Current USA LED Strip Lights equivalent to say 4 CFL Bulbs as far as the plants are concerned? Even though it looks dim to me? 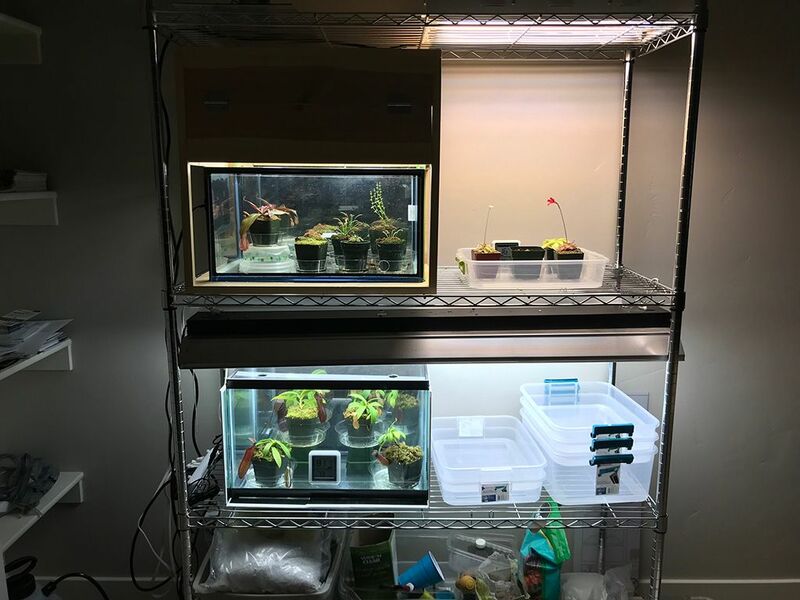 I don't want to have to keep FOUR $35 lights per 10-gallon tank of growing space when I can just get T5s or T8 fixtures from Lowes and be done. A discussion on lighting is pretty useless without explaining my growing space. 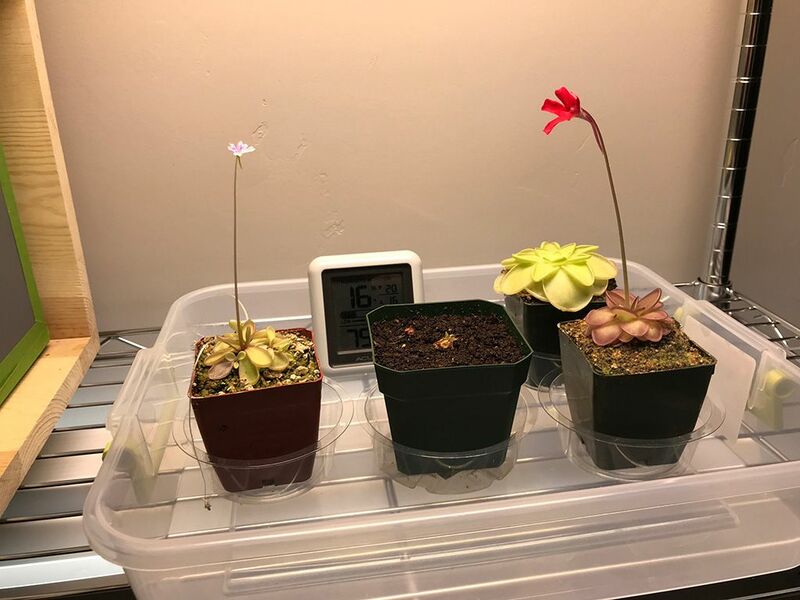 Move all drosera over to the Tray Method like the Pings and run the lights as close as I can to the plants. That shelf can be modified and another level added. So I will be resizing the gaps based on the lights. I can lay the LED tracks above the plants on a rack if I make the gaps closer. 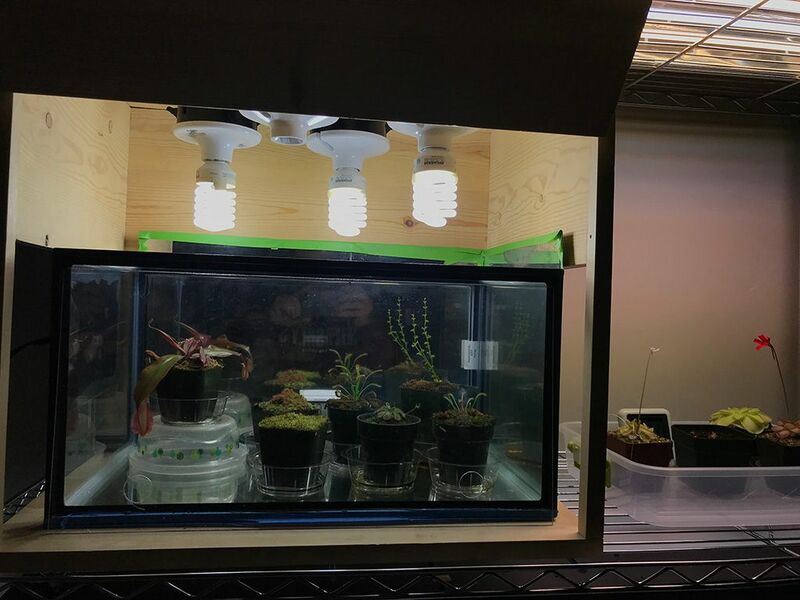 Any feedback on the Lights is greatly appreciated and if you read on to the plans of my growspace, any thoughts are welcome too. Glad to be growing CPs again in this new apartment and hope I can get the right lights for an easy on the eyes LED setup. I'm not sure what that cost you but you can get a 300w mars hydro fairly affordable off Amazon. The link at the top of my post is an Amazon link and shows that I got it for $34.95. So yeah, the MarsAqua Dimmable 300w looks neat but man not for $189.99. Ouch. What are you growing with yours? How many do you have? 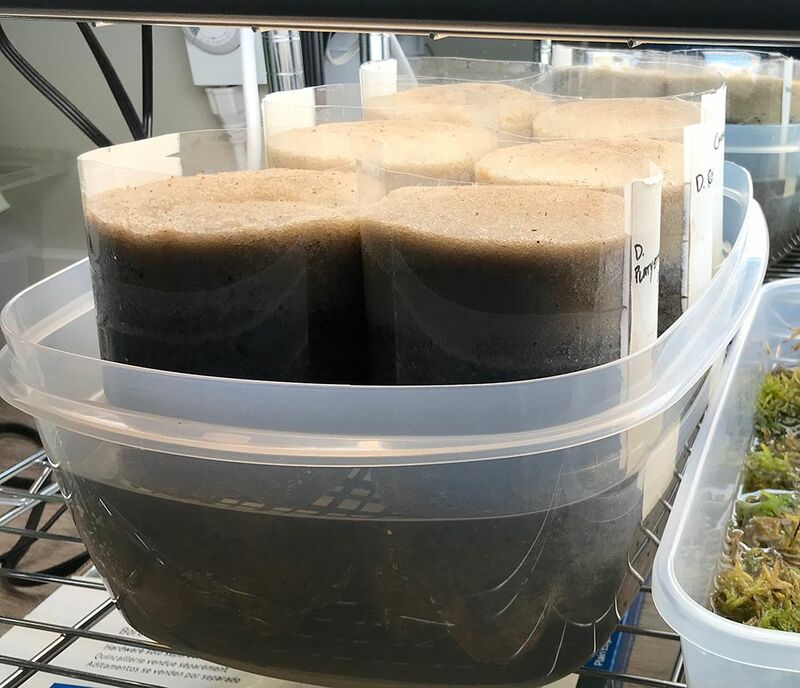 How big is your grow space that this is covering? 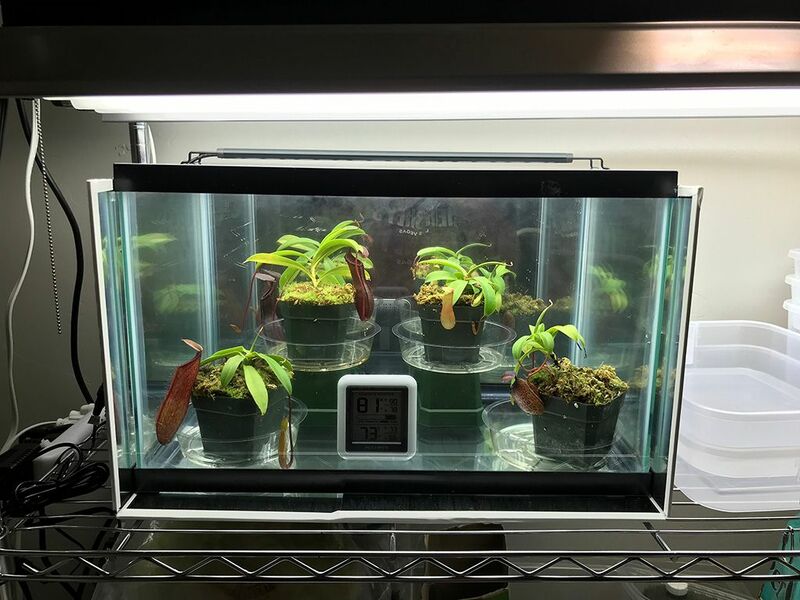 Aquarium lights generally aren't recommended for plant use because they don't tend to be very bright and also tend to produce far more blue light than needed which isn't as useful for plants. If you want something simple, you can buy LED replacement bulbs for fluorescent fixtures, or even ready-made fixtures meant to replace fluorescent ones. You'll want to shop around a bit though since a lot of these aren't as bright as the fluorescents they're meant to replace. You can also buy LED screw-in bulbs. The commonly used Mars Hydro fixture can be found here: https://smile.amazon.com/MarsHydro-S...dp/B00XC3LBI2/ though be warned, it's very strong blurple light that will sear the ugly color into your retinas. It's also designed for a much larger grow space. 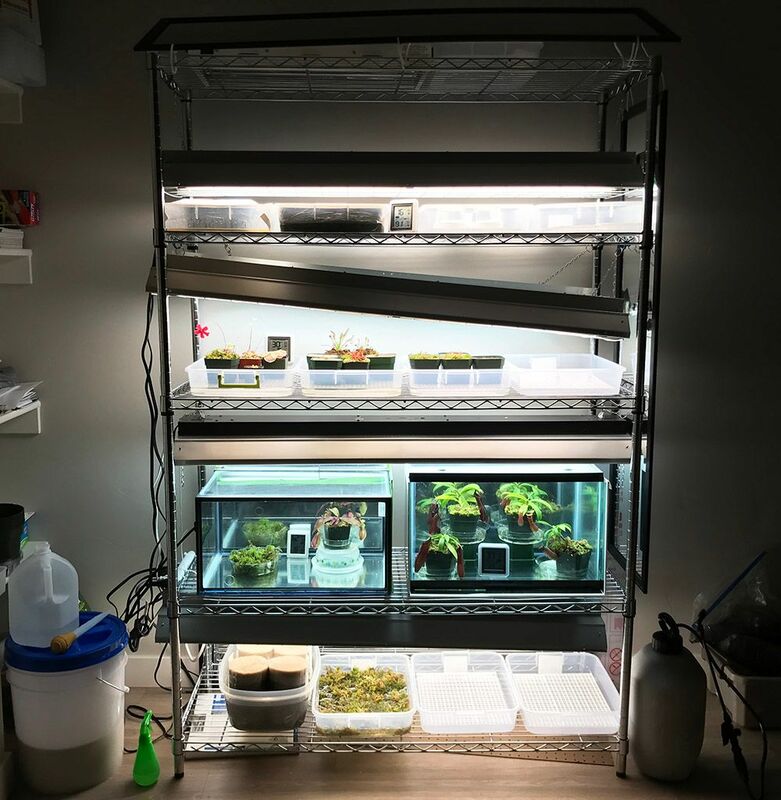 I myself had always used t5 florescents and currently am using and indagrow 420 i got for very cheap( which is way too expensive to buy just for a hobby). I recently purchased some LED spotlights at home depot for outdoor use. they have different light temps just like CFLs and are quite energy efficient while directing nearly all the light where you want it. Just an idea before you go into the DIY realm. good luck! Heya, nepentesl0ve! 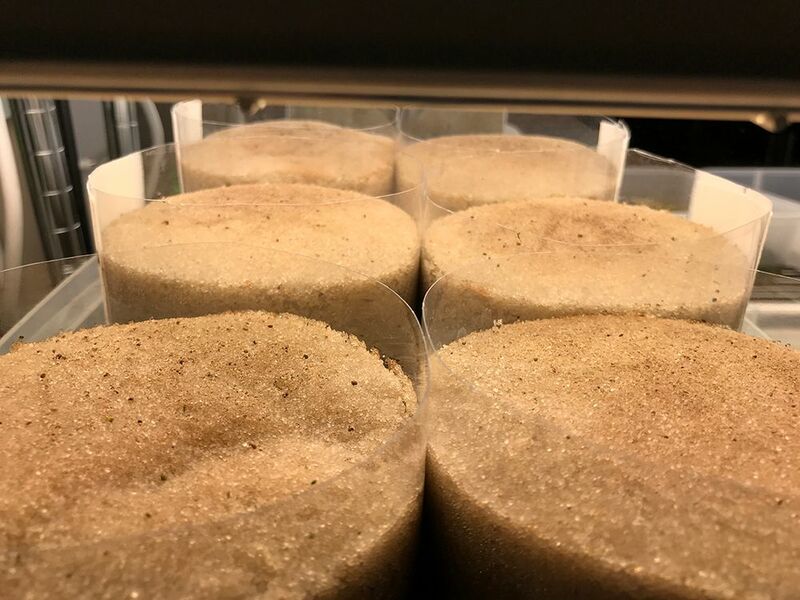 I just checked out your growing space! Really cool basement tent! That is going to be FULL of amazing plants when those neps keep growing! Appreciate the response! I too was a T5 grower and after all the confusion on what LEDs will be enough light and where I needed to start since I am not in a position to build my own DIY Strip lights, I am happy to have some T8 Fixtures that fit four bulbs and I have outfit them with 6500K and 3000K to get a decent spectrum. I am happy with the setup. Loads of light! A seed germination level at the top where I keep a mirror to really keep the light in and the heat. Plus, as you can see there is lots of room to grow! I am excited! woohoo! What do you have going on in the bottom left of the setup next to the moss? Its nice to meet ya, I look forward to watching your setup in the future esp the seeds Happy Holidays! Happy Holidays to you too! Hope your Christmas Day is going very well so far! I have ALWAYS wanted to try growing outside of tanks on shelves like this and with drosera and pings I can make that happen! I am so excited to see that the plants are dewing up just fine thanks to the great light and despite the 30+ percent of humidity. So stoked it is working as others have claimed it would even for me here in Utah and during winter heating! Loving it! It really does look nice and even the neps in the two ten gallon tanks are looking really nice too! At least for now. Soon they will outgrow the space. Down there on the bottom shelf on the left are my 7-8 inch Soda bottle pots with Gemmae! I have six varieties right now and a couple more on the way. 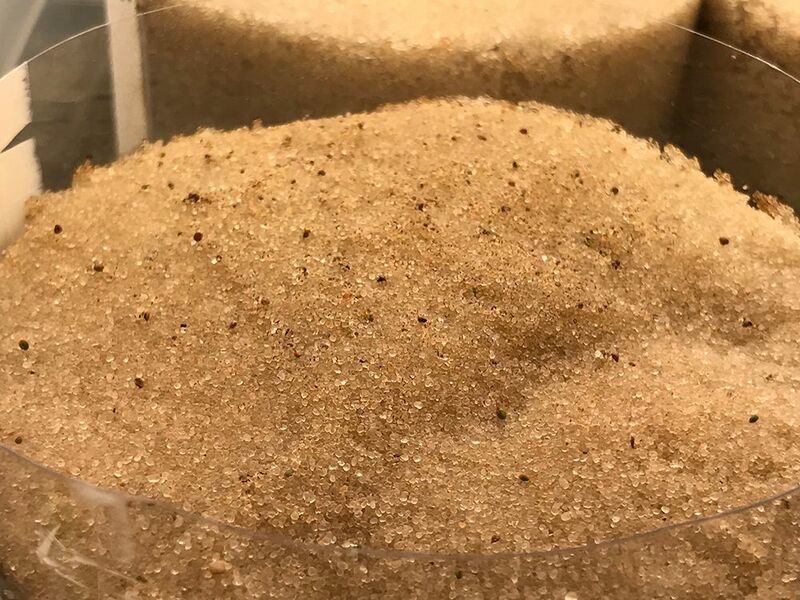 It will be a blast when they start to sprout! I have only had them in there for a little over a week and I feel like it has been a month. I am getting way too impatient. I am so stoked to see them start to grow! I will have to start an Odysseus' plants thread and update things in there over time. Great to meet you too and the way the forums are so quiet these days I figure I will get a lot of opportunities to talk with you again, Nepenthesl0ve! Help me get a spot satellite communicator. Just bought a Satellite! Can I hook up with USB?